"I had no idea what to expect." The Orchard has unveiled the official trailer for William Friedkin's latest film, a documentary (of sorts) about a real life exorcism, titled The Devil and Father Amorth. Friedkin goes to film Father Gabriele Amortha as he performs his ninth exorcism on an Italian woman. This actually premiered at the Venice Film Festival last fall, perhaps just because it's Friedkin and not because it's really that good. The film is only 68 minutes long, and got dismal reviews out of the festivals, but if you're into exorcisms you might as well check it out anyway. Robbie Collin's Venice review in the Telegraph states: "The film is unquestionably a curio for converts rather than the meatier exploration it will leave many sceptics (including this one) hankering after, but it leaves you with plenty to chew on…" Well, there you go. In his latest, William Friedkin returns not only to his documentary roots but to the subject of one of his most towering works, 1973's The Exorcist. Friedkin, a legendary raconteur, leads a tour that moves from the infamous Exorcist steps in Georgetown to Italy, where he meets with the 91-year-old Father Gabriele Amorth, official exorcist of the Diocese of Rome, and accompanies Amorth on one of his harrowing house calls. A sprightly, at times gonzo-style investigation into the long history of demonic lore, and a one-of-a-kind insight into the persistence of medieval belief in the supposedly modern world. The Devil and Father Amorth is directed by acclaimed, iconic American filmmaker William Friedkin, of The French Connection, The Exorcist, and Sorcerer, plus Rules of Engagement, The Hunted, Bug, and Killer Joe most recently. This first premiered at the Venice Film Festival last year. 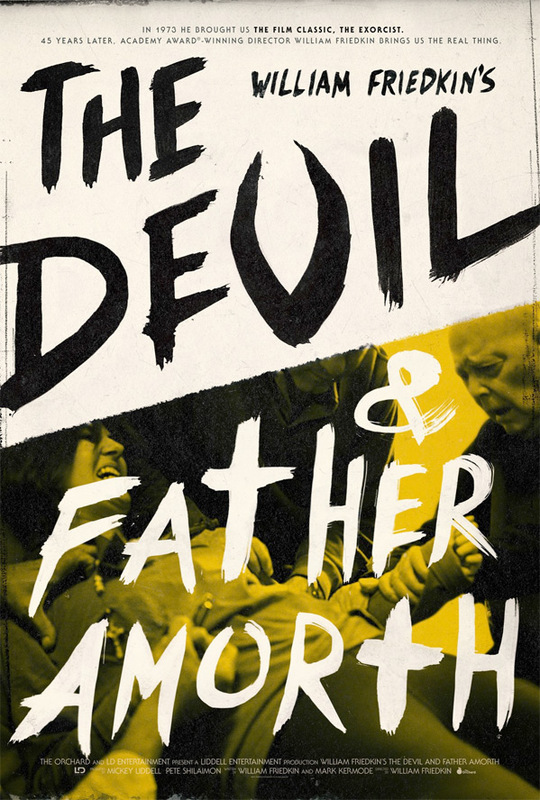 The Orchard will release Friedkin's The Devil and Father Amorth in select theaters starting on April 20th this spring. Anyone curious about this?